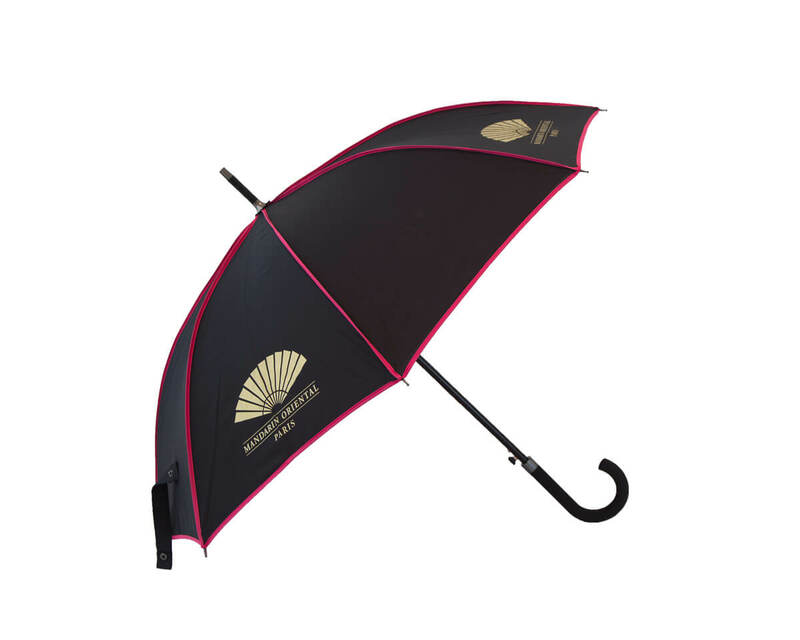 Who Are ibrolly Promotional Umbrellas? 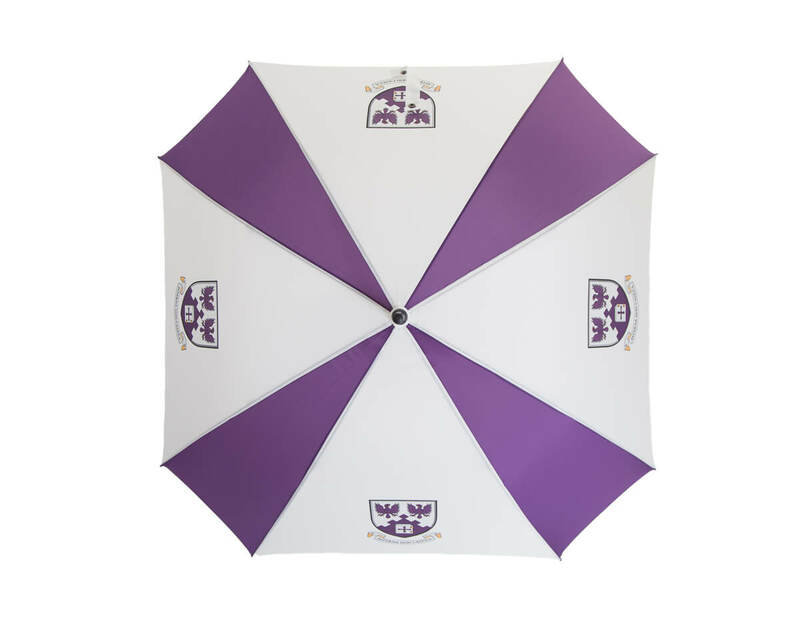 iBrolly is a complete promotional umbrella manufacturer, specialising in the manufacturing and design of premium quality, one-of-a-kind umbrellas for promotional and retail purposes. 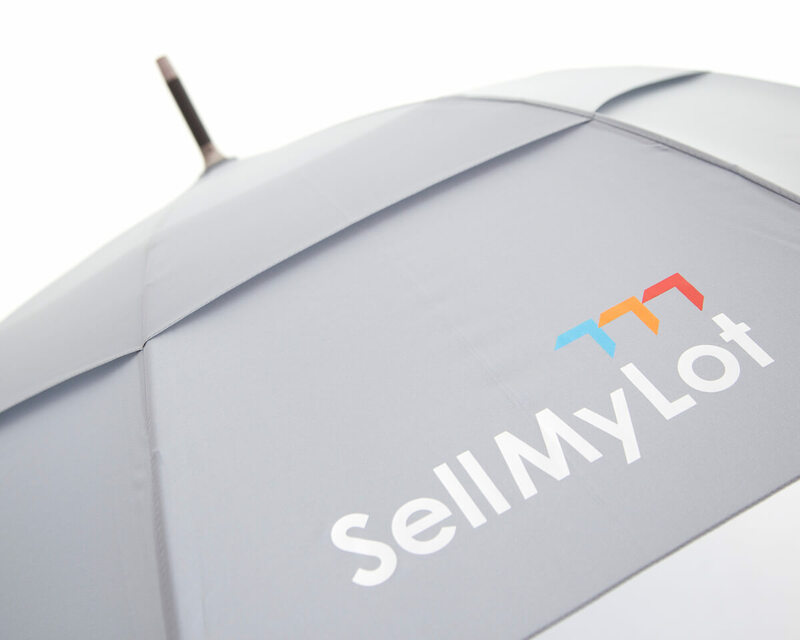 At iBrolly you can do so much more than print a logo on an umbrella, we offer a fully personalised umbrella service! 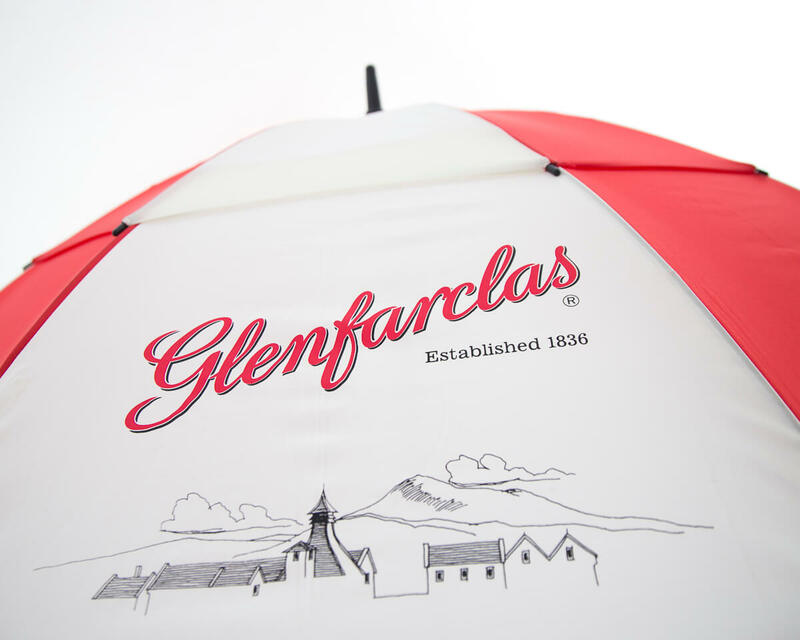 Why Choose ibrolly Promotional Umbrellas? 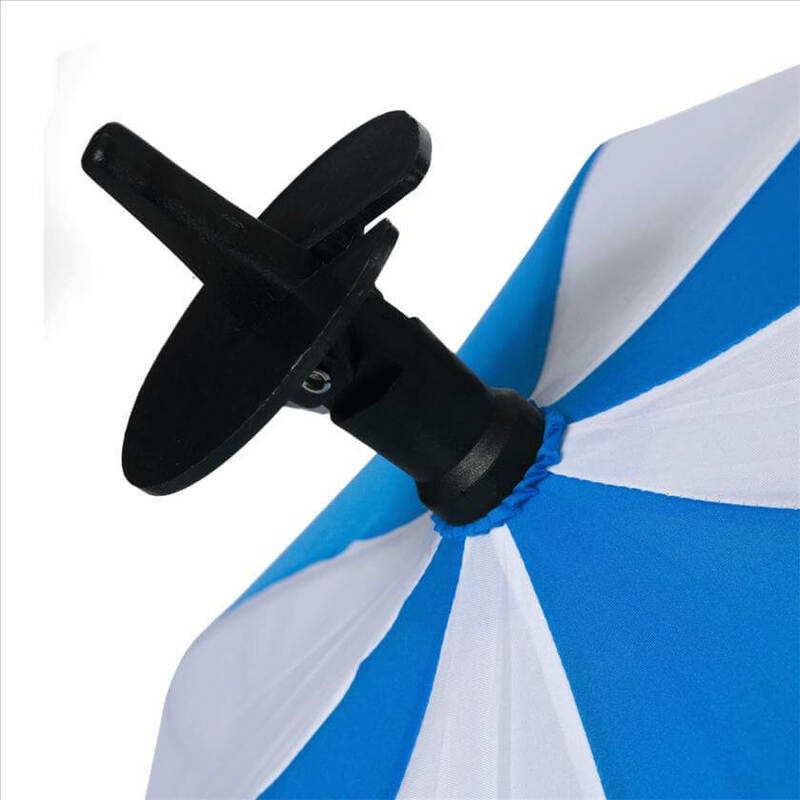 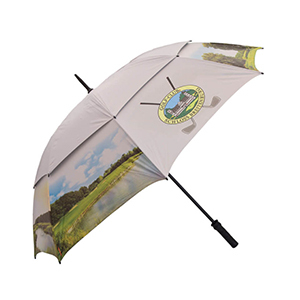 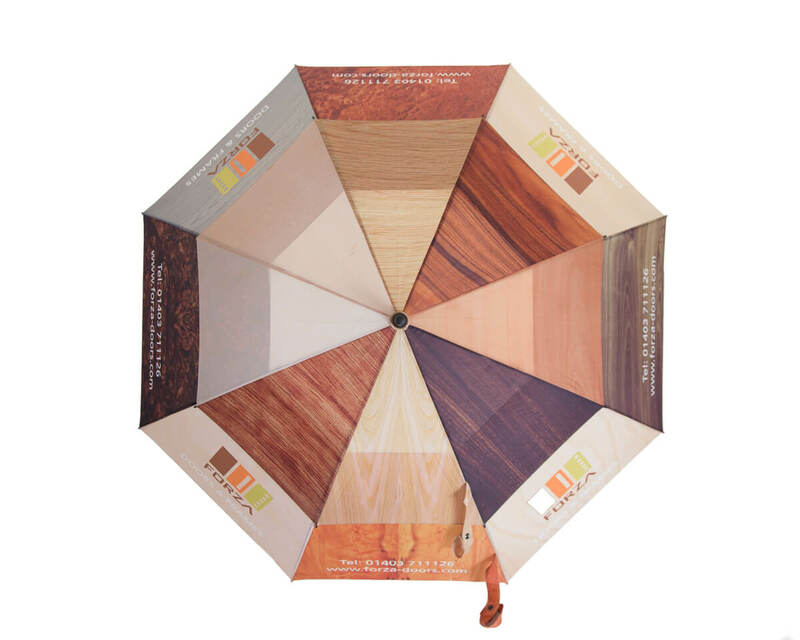 Well, due to the fact that we custom manufacture all of our promotional umbrellas from the frame up in our own factory: Graphics are printed onto umbrella panels prior to construction -- so there are no printing restrictions. 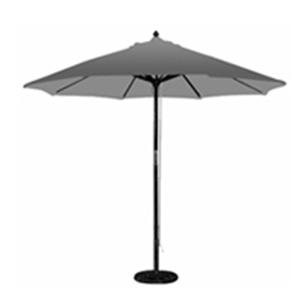 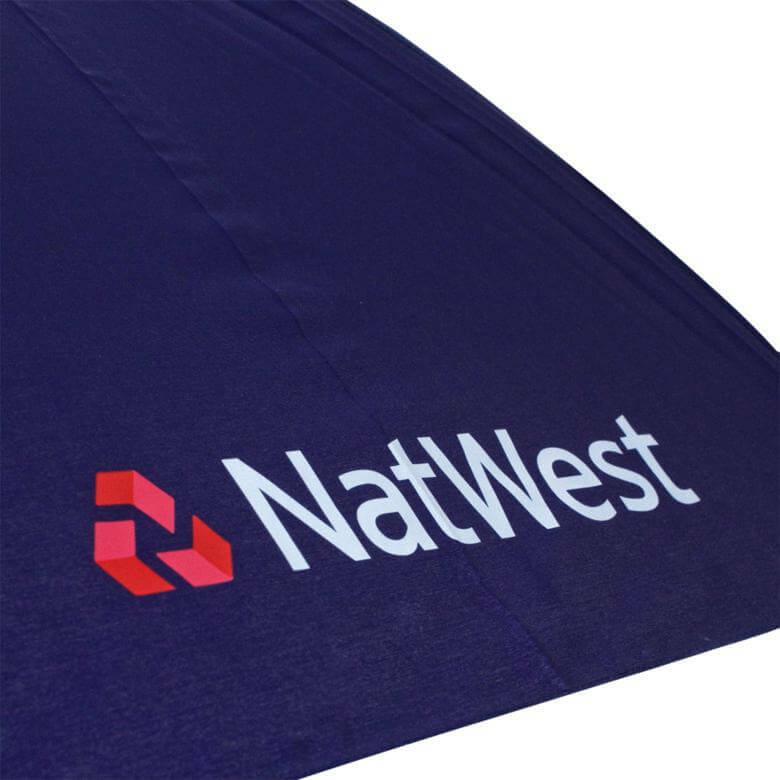 This allows you the flexibility to bring striking promotional umbrella canopy designs to life. 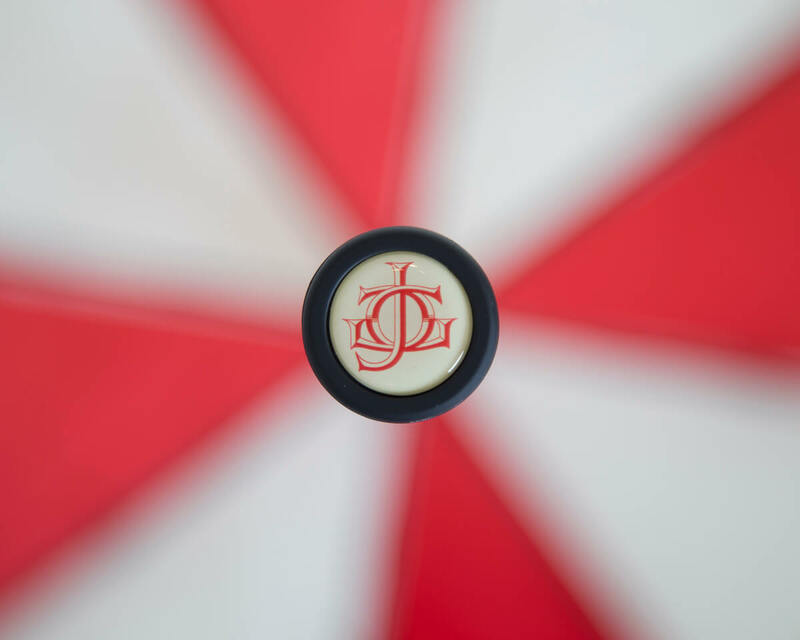 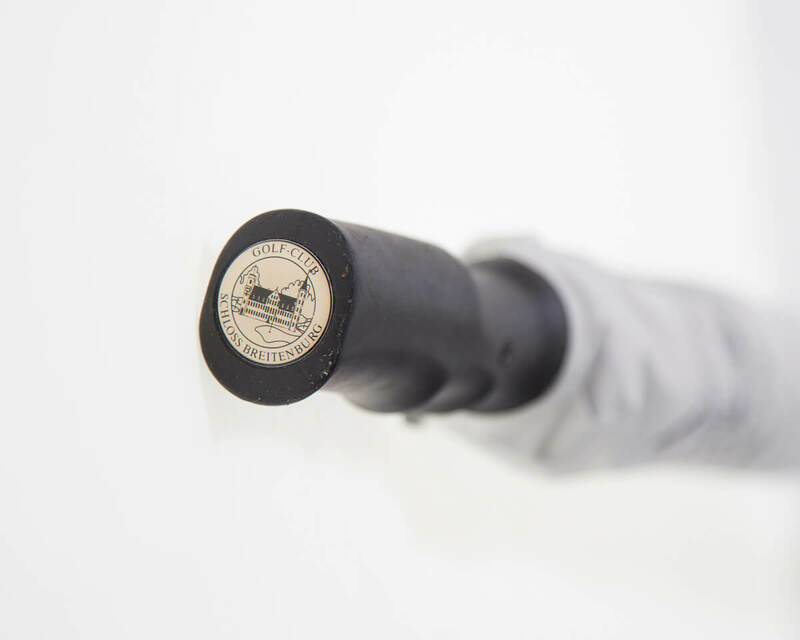 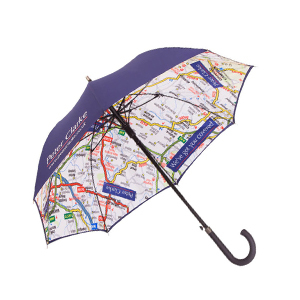 We also offer a huge selection of branding options and features, including custom embroidered labels, engraved handles and several packaging options, allowing you to completely personalise your umbrellas. 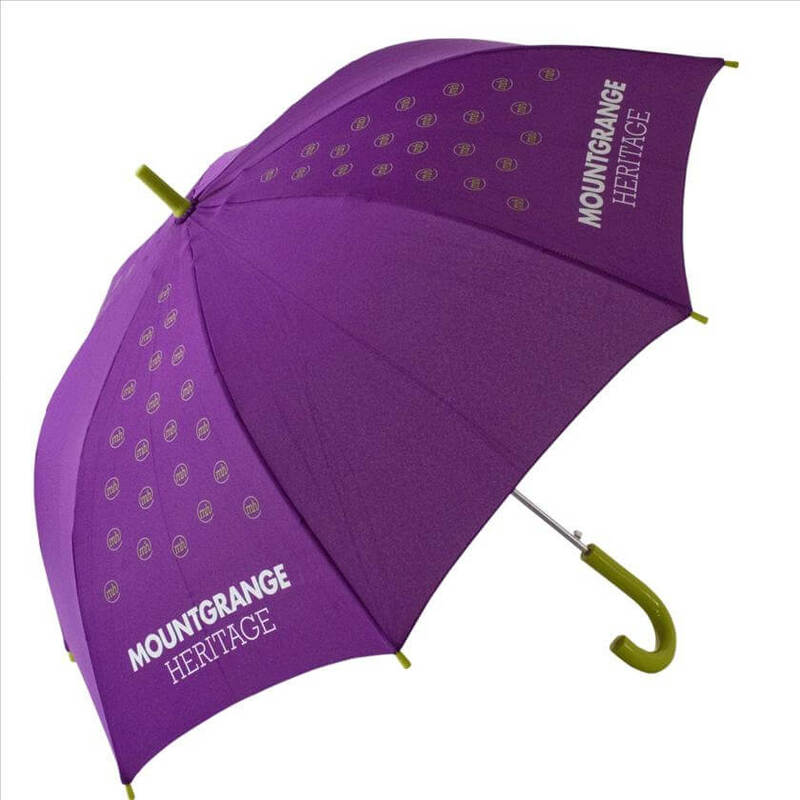 With numerous colours and several personalised umbrella styles to choose from, including larger promotional golf umbrellas, personalised stick umbrellas and promotional folding umbrellas, you can get the specific look you want. 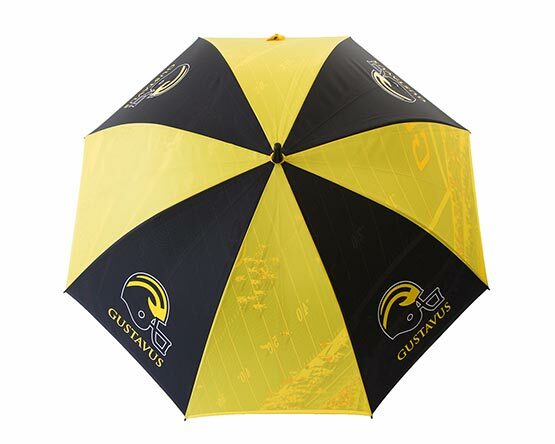 Our team believe great promotional umbrella items are more than just a logo printed on some swag, they prominently show the brand's colours in an unique and memorable way. 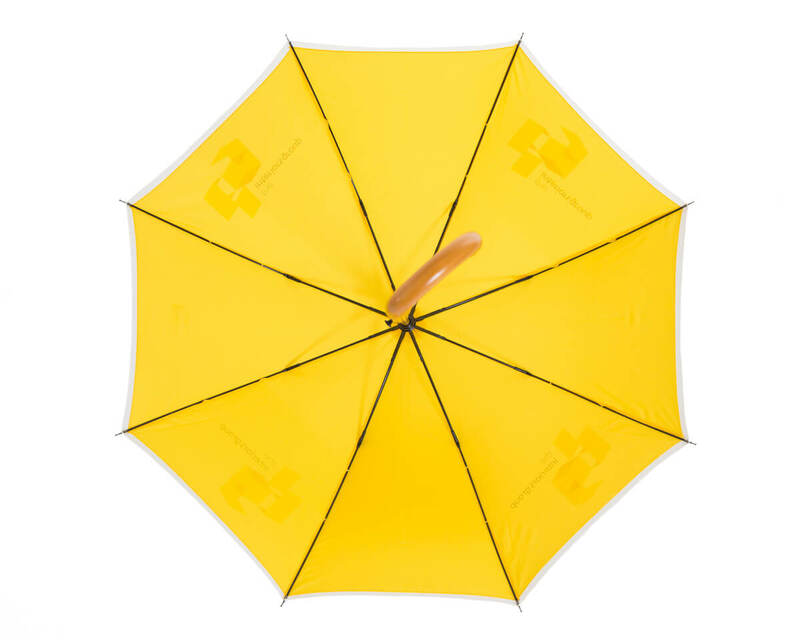 That's why we offer the power to Pantone to match your company's colours. 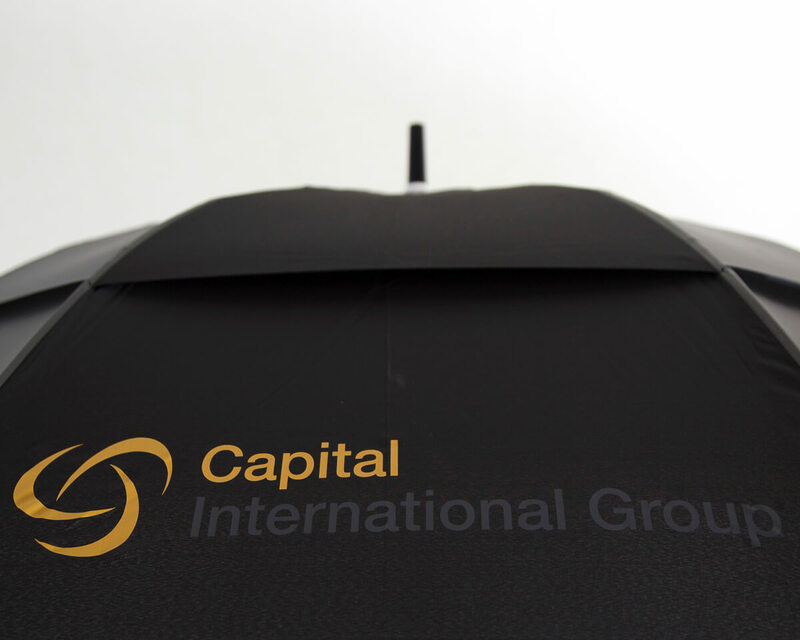 Our factory can dye the umbrella canopy fabric to your exact corporate colours. 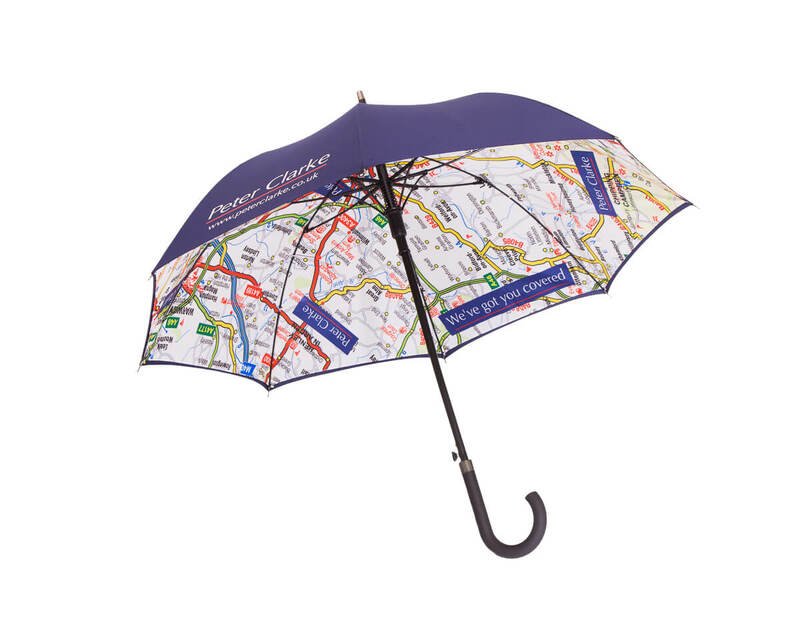 Colour-matching is not only for the canopy either: We can match the frame, handle, and sleeve -- totally personalising your promotional umbrella from tip to handle. 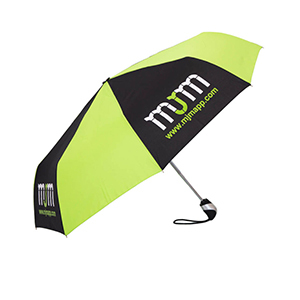 If you'd like a free personalised umbrella design, email us your logo and we'd be happy to do one for you -- for free! 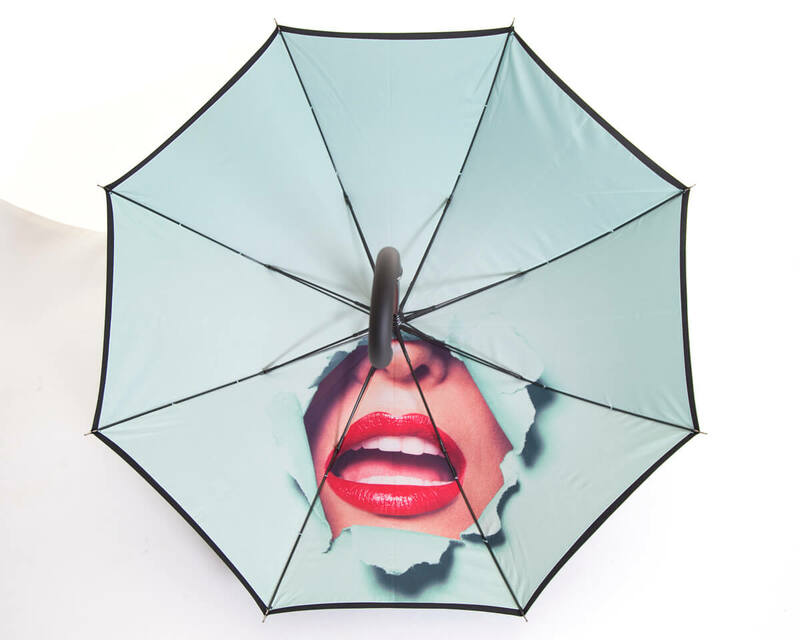 If you have any specific design needs, or a creative idea of your own, tell us about it so our experienced umbrella designers can bring your concept to life. 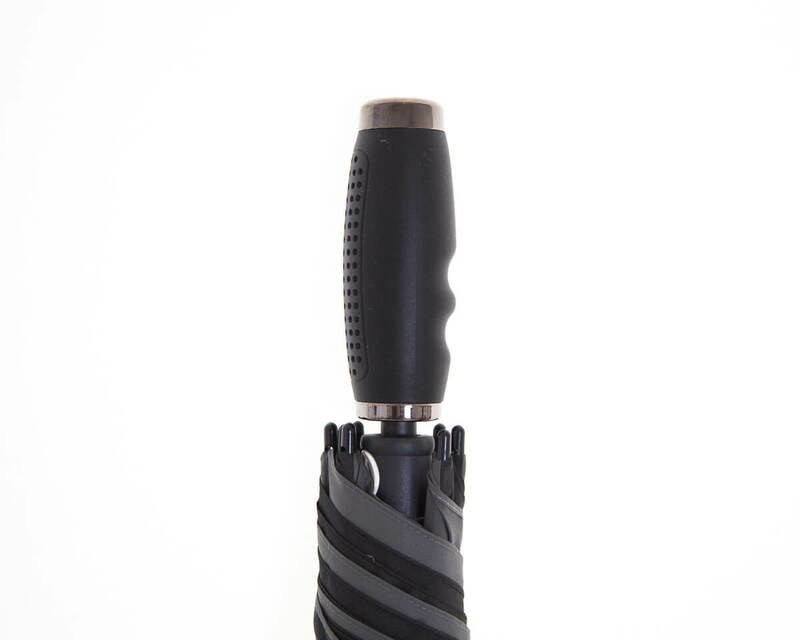 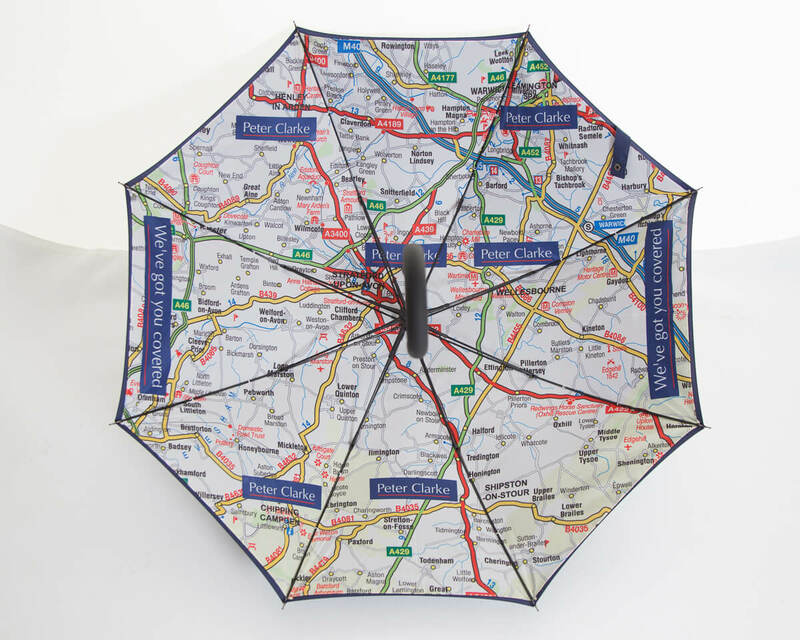 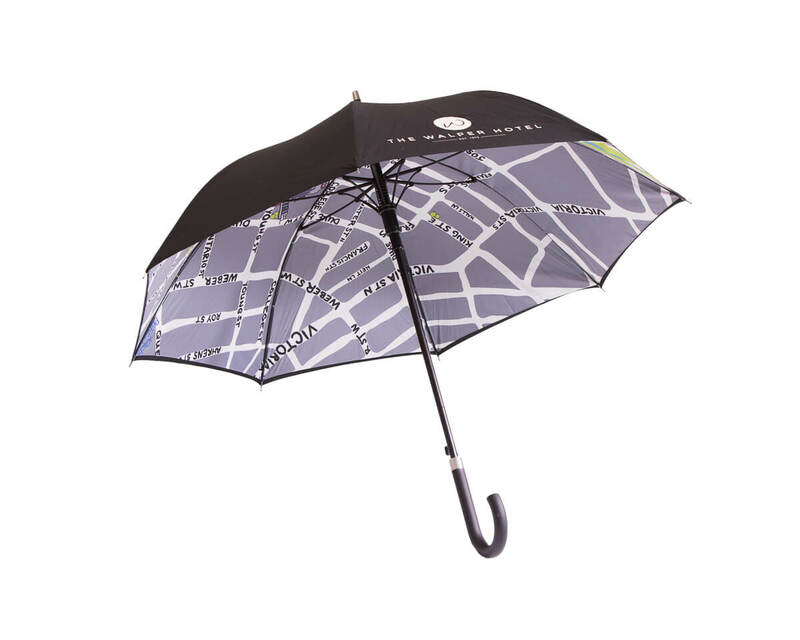 Alternatively, if you 'd like to design your own custom umbrella, we can provide you with umbrella design layouts and help you through the process.